Designing a fabulous ring for myself! Perhaps I should explain the name of the blog “I’d like something different”, these can be dreaded words when someone calls in to start the process of getting a piece of jewellery made. I dread them for a few reasons, like, has the customer given any indication as to what they do or don’t like or how far-out do they want to go? 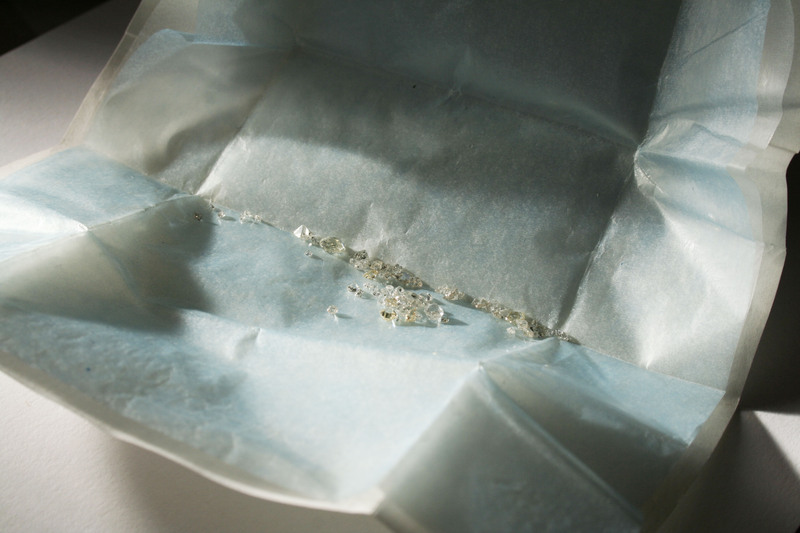 And here’s a surprising one….. am I having a creative day? That can be a tricky one, obviously most days are fine, I only realise I’m not feeling it when I have very few idea’s to give to the customer. This is an incredibly frustrating feeling, a little bit like having a word at the tip of your tongue. So, I was quite surprised when I started to think about what kind of ring I’d like for myself, and in my internal monologue I said those dreaded words, and I didn’t have a clue what I wanted. So I could make life very difficult for myself. I hope I won’t though, or I’ll have to have a little word with myself! I did settle on the idea of having a cushion shape diamond as the main stone,this is a brilliant cut diamond, but in a soft square shape. Before diamond cutting was standardised diamonds used to be cut to make the most of the stone, so the shapes would be irregular, sometimes more round other times a bit more square. 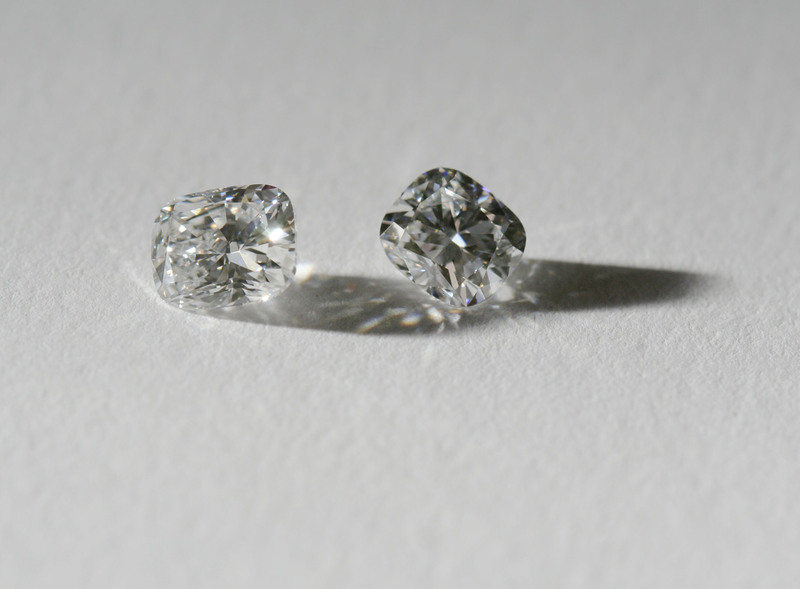 The old cut diamonds that are available are split into a number of groups, 2 being, Georgian and Victorian. The Georgians are the style that I prefer, they’re squarer and can be quite high and what I would call lumpy. 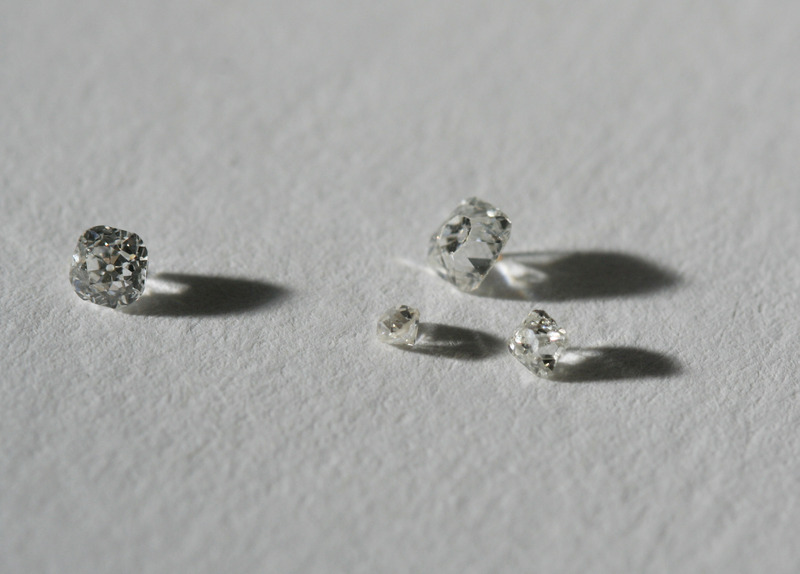 A few small Georgian cut diamonds. A packet of lots of little georgians. The sparkle didn't translate into the picture, but believe me, they sparkled! So, so far the idea is to have a main diamond, probably a cushion shape. I briefly looked into finding a large Georgian for the main stone, but they’re not easy to find in nice quality large stones, and when you do, they demand a high price. So I might be opting for a possibly controversial combination of stones, a large modern stone and smaller Georgians. Purists might say that they shouldn’t be put together, and maybe they’re right. But for now it’s an option and until I have worked some more on my design I wont be counting anything out!